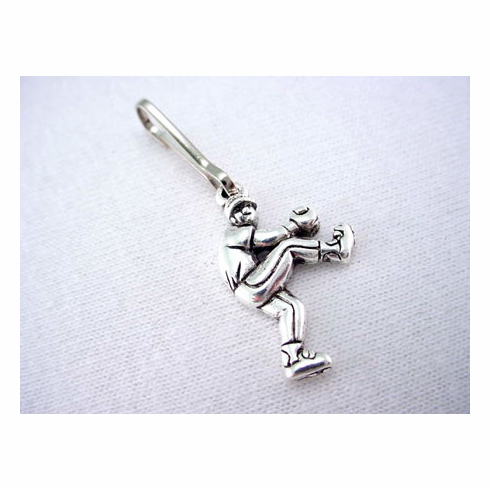 These baseball pitcher charm zipper pulls will make it easy to show everyone how much you love baseball. No lead, no nickel. Charms are made of pewter with sterling plate...light antique finish, light tarnish finish...made to look great and to last.